In the wake of Hale’s fire, our community has been incredibly supportive. We didn’t expect national exposure like this, though: Hale Library was recently profiled on a new television program. The series, which is called “Rescue Heroes: Global Response Team” (not to be confused with the Canadian children’s show “Rescue Heroes,” which features animated dogs), premiered last month. The second episode gives an overview of the fire, including interviews from rescue and recovery personnel plus students and faculty. Watch the full show on YouTube! (The portion featuring K-State starts at 11:07). The episode features several people who are near and dear to the Libraries talking about the fire, the process of rescuing the books, restoring the building, and Hale Library’s future. Here are just a few of them. 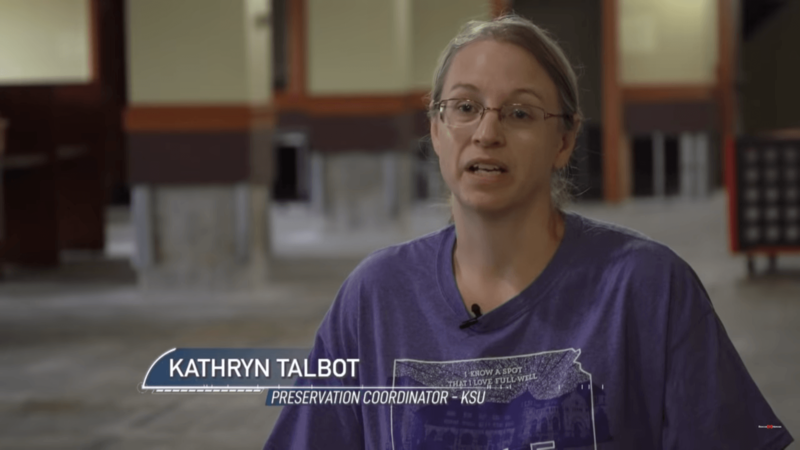 Before the fire, Kathryn Talbot managed digital preservation and the preservation lab that cared for the books. She also supervised all staff that physically moved library materials: They shifted the collections from one part of the library to another, reshelved books returned by patrons and more. After the fire, Talbot became one of Hale Library’s key players in working with Belfor, the property restoration company, to make sure our collections made it out of the building and into safe storage locations. Tiffany Bowers, a senior in anthropology, was also featured in the video. 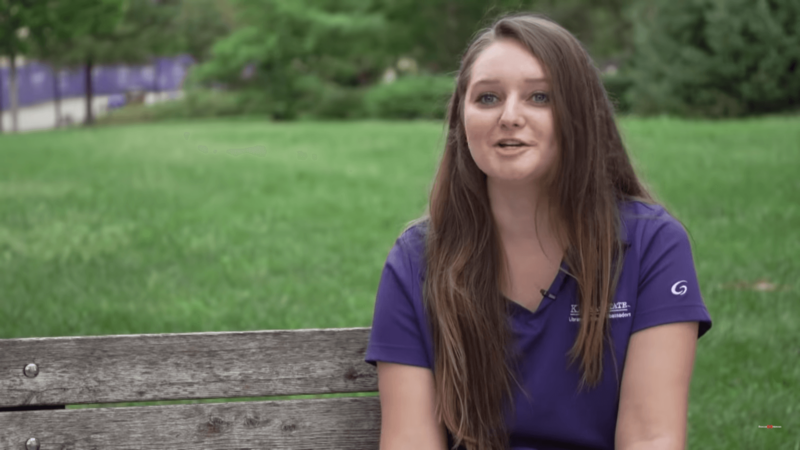 Bowers is planning on going to graduate school for library sciences and is the current president of the K-State Libraries Student Ambassadors. Battalion Chief Jason Hudson, who was featured in a previous post, shared experience on the scene of the fire that day. “It was pulling at my heart knowing how bad this was,” he said. 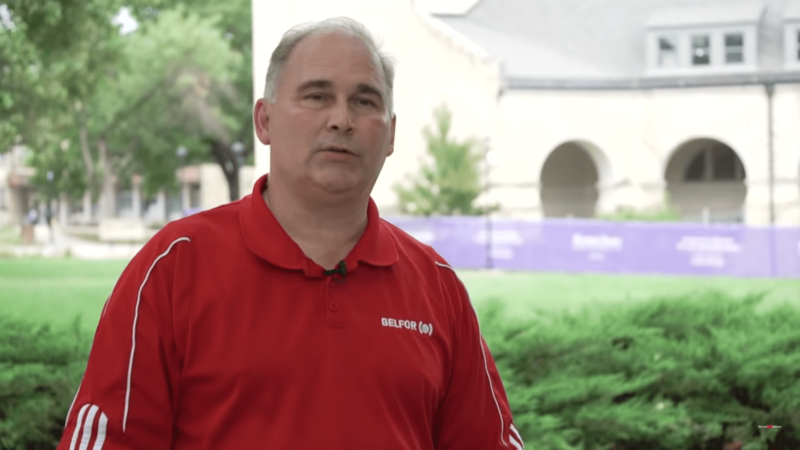 Hudson was an undergraduate student at K-State when Hale was being built in the late ’90s, so witnessing its near destruction held special significance for him. 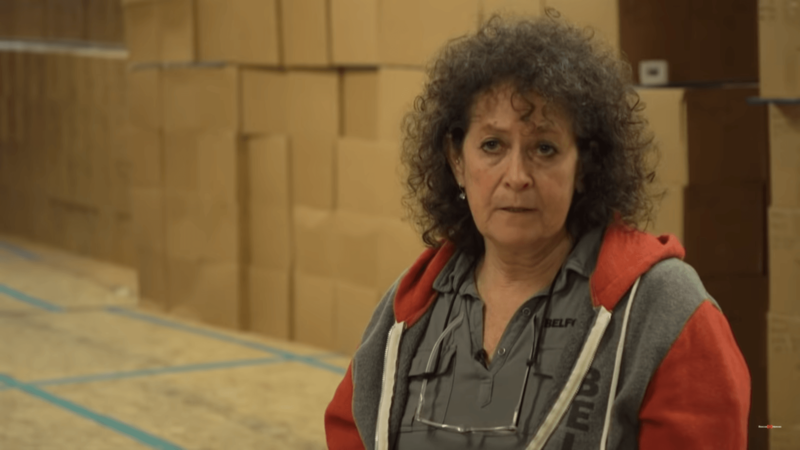 The books that were damaged in the fire are being taken care of by Kay Rieder, another restoration specialist with Belfor. The approximately 1.5 million books are being stored in several locations throughout the state in storage facilities that have humidity and temperature control. Excellent video work. Our daughter works at Hale Library. This has helped to explain the scope of loss – this video helps understanding the enormous undertaking of restoration. Thank you for watching! Yes, it’s been a bizarre time for everyone who called Hale Library “home.” We look forward to moving back into a fresh, new space.